Theodore Roosevelt, the 26th President of the United States, was born in a New York City brownstone in 1858 and lived there until he was 14 years old. 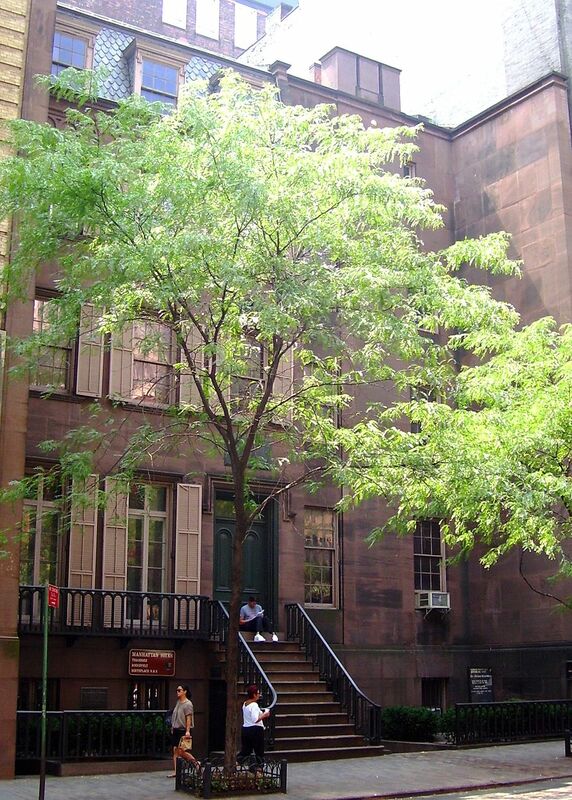 The Gramercy Park site of Roosevelt’s birth is honored as the Theodore Roosevelt Birthplace National Historic Site, and is open to the public to visit. Admission is free. Although the house located is on the site where Roosevelt was born, the structure is actually a reconstruction. The home where Teddy Roosevelt was born was originally constructed in 1848, torn down in 1916, and then reconstructed by the Women’s Roosevelt Memorial Association on the same site after Roosevelt’s death in 1919. Many of the furnishings on display are from the original Roosevelt residence. Today, the house is owned, maintained, and operated by the National Park Service. The historic site includes the home and a small museum section with a display of Roosevelt artifacts. An interpretive guide provides tours of the residence. Tours depart on the hour. Visit the Theodore Roosevelt Birthplace website for details. Read reviews and comments from visitors to the Roosevelt Birthplace. Theodore Roosevelt Birthplace NHS is open Tuesday-Saturday, 9:00 a.m.- 5:00 p.m. The site is closed on the following designated federal holidays: Thanksgiving Day and Christmas Day. The Theodore Roosevelt Birthplace address is 28 East 20th Street, between Broadway and Park Avenue.